Gavriel Aryeh Sanders lectures fellow Orthodox Jews on re-gaining lost Jews from Messianic Jewry and Christian proselytes. See his site for his articles and NYC radio show streams. Former Christian missionary turned Orthodox Jewish teacher, Gavriel Arye Sanders returns to LA to promote efforts of Yad L'Achim convert-reclamation program. He speaks on behalf of the group which helps rescue Jewish souls from missionary Christian and 'Messianic Jewish' spiritual abduction. The 2nd-4th videos feature his speech in Hancock Park. The fifth show his return to Cong. Anshe Emes- which helped him find his path to his spiritual redirection. Length :40 min. 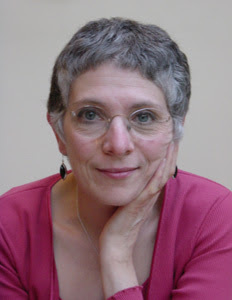 'The West is Suffering Effects of Global Jihad's Psychological Warfare to Demoralize and Remake the West under Their Control' - Londonistan author, Melanie Phillips. Ms. Phillips lays out the cognitive dissonance Israel faces among the Anglo-sphere. And what little Britain's Jews do to help their image-crisis. 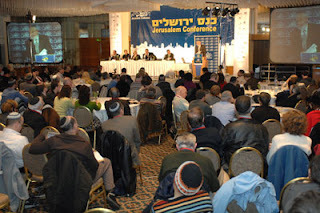 Audiocast from the recent Jerusalem Conference, courtesy of Israel National Radio. Select Download from Radio News Highlights menu in left column. She says, "The bottom line is that the global Islamic jihad is threatening the entire free world, and it is succeeding, and we don't even know what has hit us! Britain is sliding into Islamicization, because of a strategy outlined decades ago by the Islamic Brotherhood, which says: You set up your institutions, you then use the mores of your designated country to give you more and more, you Islamicize the country, and then you take it over. next. Israel is obligated, using our traditional skill with words, to retake the battlefield of ideology and of the mind - and win." Israel National News' Hillel Fendel summarizes that Conference session on Israel's Public Relations Efforts, featuring a panel including former MK Elyakim HaEtzni, Isi Leibler, Nitsana Darshan-Leitner, and Tzafrir Ronen. HaEtzni presented his thesis that the simple explanation for Israel's failure at effective PR is "pathological. Israel is sick, with a condition called 'Jewish self-hatred,' and this phenomenon must be investigated... For 2,000 years, the world has been telling us that we're no good - so finally, like a child who receives only criticism, he naturally begins to believe he is no good! In addition, there is something in the Jewish religion that is very noble, but that if taken too far, can be dangerous. Other nations, when they are hit, blame the hitter - but we always blame ourselves; we ask what we did wrong. " Pajamas Media's Roger L. Simon delivers The Augean Stable/ Second Draft's Prof. Richard Landes audio-blogging from the Paris appellate libel trial of anti-Semitism watchdog, Philippe Karsenty being sued by France2 tele-journalist, Charles Enderlin. In the latest podcasts from Richard Landes, news is not as good for Karsenty. At the end of today’s session - the last before the reading of the verdict iin a few weeks - the Avocat Générale gave a closing statement unfavorable to the French media gadfly. Very rarely, said, Landes are the opinions of the Advocate Générale overturned by the judges in a French court. Listen to the podcasts below for details. Click here to download mp3 audio file of 3rd and final telephone podcast from Paris. Watch videos from the LimmudLA President's Day Eve concert. "Those who sow in tears shall reap in joy," Debbie Friedman sings her inspiring "Mi shebayrach." Debbie then breaks into an upbeat medly of "Turn the World Around,""Oseh Shalom," "Miriam," "Hallelu," and "David Melech Yisrael" to get the sold-out audience of LimmudLA participants dancing and rejoicing. (Click the second button to navigate the videos' menu). The Moshav Band perform their inspirational anthem, "Come Back (to me now)" the soundtrack of the famous Nefesh b'Nefesh aliyah documentary. JTA syndicates Sue Fishkoff's review of Limmud '08. “I knew what I was getting into and I still wanted to come, because I love all Jews,” said Rabbi Moshe Shapoff, who traveled to Limmud LA from his Israeli home in the Jerusalem suburb of Givat Zeev, where he co-founded a vocational school for haredi youth. “I was literally in tears seeing all those Jews dancing together. At the end of the day, it’s not what we wear, but that one soul touches another,” he said. That’s a big part of what the British-based, volunteer-driven Limmud is about: Jews of all stripes and ages coming together to study, worship and learn from each other. LA's Jewish Journal publisher, Rob Eshman, claims that Limmud proves that LA has a significant Jewish community. ...That's the essence of Limmud -- not just Jews learning from other Jews but experiencing the breadth and depth of tradition, culture and spirituality in one place, in a weekend. I was in another session, hearing four stand-up comedians, including a Chasid, a Palestinian and Aaron Freeman, a black convert to Judaism, joke about all the hilarious stuff that happens in the Mideast. That was after a full day spent dipping into one class on the teachings of Rabbi Joseph Solovetchik, another on the meaning behind the Hebrew calendar and innumerable hallway and, yes, barstool discussions and debates with everybody from the Russian scholars to Hollywood players to major philanthropists to street-level activists to post-denominational observant Israeli-American rock musicians (they were in the hot tub with me, along with a brilliant Reform aerospace engineer from Manhattan Beach -- go figure). "Israeli security officials quietly expressed "concern" about an adviser to Sen. Barack Obama who has advocated negotiations with Hamas and providing international assistance to the terrorist group. 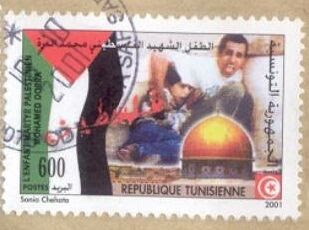 The officials noted that Robert Malley, a principal Obama foreign policy adviser, has penned numerous opinion articles, many of them co-written with a former adviser to the late Palestinian Authority president Yasir Arafat, petitioning for dialogue with Hamas and blasting Israel for numerous policies he says harm the Palestinian cause. Several other Obama advisers, including former national security adviser (to President Jimmy Carter) Zbigniew Brzezinski and Harvard professor Samantha Power, are widely seen as tilting toward the Palestinian cause. Meanwhile, Obama’s spiritual adviser, Rev. Jeremiah Wright Jr. of Trinity United Church of Christ in Chicago, recently presented Nation of Islam leader Louis Farrakhan with a "Lifetime Achievement" award. Farrakhan has expressed consistent anti-Israel views. Wright has called for divestment from Israel and refers to Israel as a "racist" state." Obama called Wright’s heralding of Farrakhan a "mistake" but has not spoken out against Wright’s views regarding Israel. "